The 10 Best Spots for French Fries in West Virginia! Who doesn’t love crunchy, well-seasoned French fries paired with a delicious sandwich or burger? Today’s fries are much more than just fried potatoes! They come in all shapes, sizes, and flavors—some loaded with bacon and cheese, others of the sweet potato variety and lightly salted. Whatever your preference in flavor or dipping sauce, you’ll find something to love at these 10 eateries in West Virginia! Fat Patty’s in Hurricane, West Virginia, has been provided the best burgers and fries in town for over 10 years. Their menu as grown over the years to more than 20 specialty burgers and sandwiches that include favorites like the Raspberry Popper Burger, a filling ground beef burger topped with cream cheese, sautéed jalapenos, and a special raspberry melba sauce. You can choose from great sides like seasoned regular or sweet potato fries, mac & cheese, slaw, onion rings, or steamed veggies. Fat Patty’s was named one of the top 51 Burger Joints in the nation by USA Today, and once you taste their food, you’ll know why. Looking for great homemade soul food? Try Dirty Bird in Morgantown, West Virginia. With some of the best specialty sandwiches around, you’ll know why this is a very popular place. Try the Jimmy Sinatra, made of salami, baked ham, pepperoni, provolone cheese, roasted peppers, tomato, and onion with an oil and vinegar mayo or one of their famous chicken entrees like the Vera Cruz, made of chicken breast, jalapeno peppers, pepper jack cheese, sliced avocado, bacon, lettuce, tomato, onion, and topped with a cilantro line mayo. 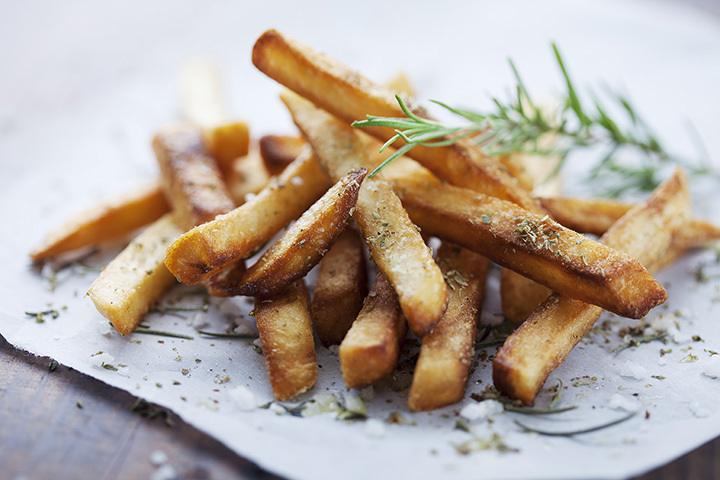 Love old-fashioned French fries, but want to try something different? Go to Maloney’s Sports Pub & Grill in Summersville, West Virginia, and order the Sriracha cheese fries. These crunchy little spicy treats are baked with cheese, red onions, and jalapenos, giving them a tongue-pleasing combination of heat and salt. This place has it all: friendly servers, great food, pleasing atmosphere, and good beer. There’s nothing fancy about this little eatery, but the food and service is outstanding, making it a very popular place. Known for great fish and chicken entrees made from quality ingredients and prepared fresh, you’ll want to add a side like their Texas Cheese Fries made with melted Cheddar and Jack cheeses, bacon, and topped with homemade buttermilk ranch dressing to your meal for an unforgettable food experience. From the time you enter the doors of Tailpipes Restaurant in Morgantown, West Virginia, you’ll be transported back in time to the 1950s. The comfortable, homey atmosphere is just part of a reason to come back. Offering gourmet burgers and delicious milkshakes like Cinnamon Toast Crunch and maple bacon, you’ll want to sample their house made chips and sweet potato fries. Burgers, fries, and shakes. How much better could it be? In years gone by, the local pharmacy was the hotspot of the community and often had a soda fountain where you could get a burger and fries, coffee, or milkshake while you waited for your prescription to be filled. Well, there’s still an old-fashioned place like that in Charleston, West Virginia. Trivillian’s Pharmacy and Soda Fountain has been operating for over 60 years and has great value-added meals like hot dogs and a milkshake or a cheeseburger, handcut French fries and a fountain drink for under $7. Try the cherry coke made with real cherry syrup. Open every day except Sunday. If you crave great food, good music, and a rocking scene, then visit the Asylum in Lewisburg, West Virginia. Open since 2014 in the downtown historic district, the Asylum is great place to watch the big game with friends on one of the large-screen TVs, sit by the fireplace with your sweetheart, or enjoy the live music events with friends. If you don’t want a full meal, try one of the appetizers like house-fried potato chips in garlic parmesan, salt and vinegar, barbecue, sour cream and chives, bacon and cheddar, ranch, tangy dill, asiago and cracked pepper, buffalo wing, cheesy jalapeno, or sizzling Sriracha. They also have a great cast of chicken wings, onion rings, and seasoned French or sweet potato fries. Considered a fast food restaurant, you won’t have that feeling when you visit The Dairy Winkle in Charleston, West Virginia. Consistently given high ratings on social media, this little eatery is full of fun, surprises, and great food. The whimsical décor will put a smile on your face, and you’ll leave happy and full after eating a great burger or the world’s best fries. The shakes and malts are good, too, and they offer live music from time to time. This locally owned and operated restaurant has been serving great American food for over six years. Open every day, they offer in-house meals and have a catering service that can help you plan your next event. Consistently voted the best dining spot in the area every year since their opening, you’ll find a great selection of burgers, salads, sandwiches, and other favorite entrees. Sides can include a loaded baked potato, gourmet skillet mac and cheese, house salad, rice, veggies, cole slaw, baked sweet potato, or the best French fries in the area. Nothing goes better with Dave’s Famous hot dog or black Angus burger than the best hand-cut French fries around. That’s what you’ll get when you dine at one of the seven locations in West Virginia: Bridgeport, Clarksburg, Morgantown, Pruntytown, or Shinnston. What started out as a hot dog stand with canned soda and chips, expanded when the father and son owners, Dave and Mike Henderson, decided to offer fresh-cut French fries, along with creating an atmosphere akin to the diners of the 1950s, complete with a juke box that plays songs for five cents each. And the rest is history.